Favorite Northwest Animal:All of them! Paula Swedeen is Conservation Northwest’s Policy Director working out of Olympia. She represents us on wildlife and wildlands policy issues at the state capitol and beyond, including wolf conservation, forest policy, and more. 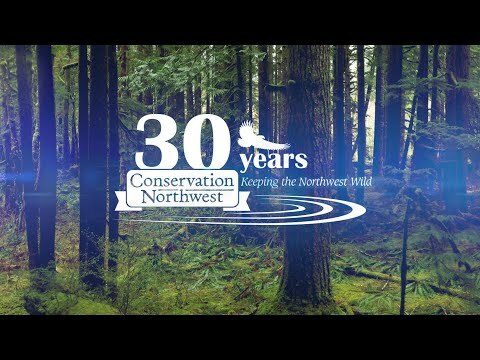 Paula has worked on habitat conservation issues around the Pacific Northwest for 24 years and even served on Conservation Northwest’s board in the early ‘90s. She worked for 12 years as a wildlife biologist and endangered species policy analyst with the Washington Department of Fish and Wildlife and the Washington Department of Natural Resources, and now serves on Washington’s Forest Practices Board and Wolf Advisory Board. Her recent work involves creating markets and ecosystem service payments to incentivize better habitat conditions on private lands where the regulatory reach is limited. Paula has a B.S. in Biology from Indiana University, a Masters of Environmental Studies and Political Science from Western Washington University, and a Ph.D. in Interdisciplinary Studies with an emphasis on Ecological Economics from the Union Institute.